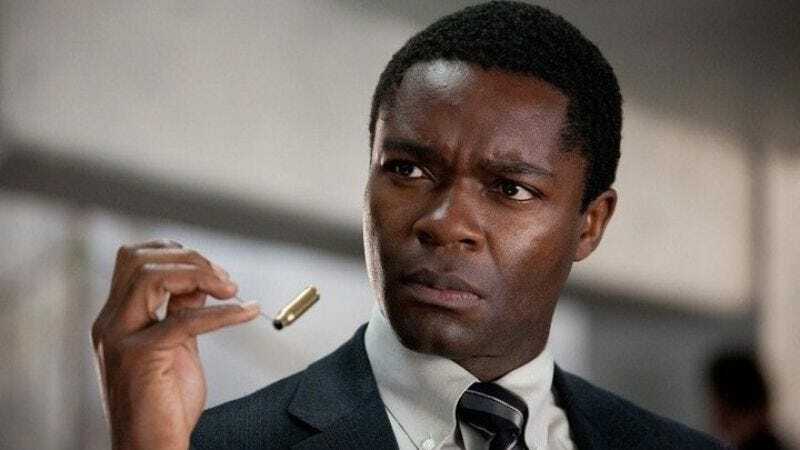 In a pleasant acknowledgement of the delightful timbre of his voice, which will in no way be construed as a larger political statement about anything at all, Selma star David Oyelowo has been cast as James Bond in the upcoming audiobook adaptation of the latest 007 novel. The British actor, who played Martin Luther King, Jr. in the 2014 film, will be one of the first black actors to lend his talents to a portrayal of the famous spy. The Ian Fleming estate apparently invited Oyelowo directly to take on the role in Anthony Horowitz’s new book, Trigger Mortis, which comes out later this year. Oyelowo was flattered by the invitation, calling it “really special,” and in no way hinting that the descendants of Ian Fleming are hatching some sort of long-term plot to drive either spy-novel-loving racists, or possibly just Idris Elba, completely insane.